Great pay-to-play area minutes from downtown Burlington for beginner to advanced riders. Offers a variety of terrain and an amazing landscape with views. There are 20 miles worth of trails available. Varies - anywhere from an hour to a half day. Catamount Outdoor Family Center is a nonprofit located in Williston, just south of Burlington, and offers 20 miles of multipurpose trails. Their mission is to promote family and community well being through activity and education in a natural environment. The property sits on 500 acres and its trails meander through woods, pasture and farmland. The owner-occupied home on the property serves as a bed and breakfast and was built in 1796 by Vermont’s first Governor, Thomas Chittenden. Together the property and house are listed by the Vermont Division for Historic Places and the national Register of Historic Places as the Giles Chittenden Homestead. The Center originally opened in 1978 as a cross country ski center and has since grown to include running, hiking, snowshoeing and sledding, and has been offering mountain biking since the late 80s. This well-marked trail system offers a great variety of singletrack and doubletrack riding within minutes of downtown Burlington. The trails are a mix of rolling hills, flats and steeper climbs. They are mostly root-filled singletrack through heavily wooded landscape on one side and open fields pasture on the other. They also have two pump tracks. One of the most wonderful things about Catamount is that while it sits in the middle of a well-developed area, once you are on the trails you feel miles away from the city. The green pastures, a small pond and all the trees make for an enjoyable ride regardless of which trail you choose and provide ample opportunity for pictures before and after. In addition, the views that can be found off some of the trails are stunning and include panoramic vistas of Mount Mansfield, Camel’s Hump, Lake Champlain and the Adirondacks. Ask at the desk which trails are best for capturing these views. 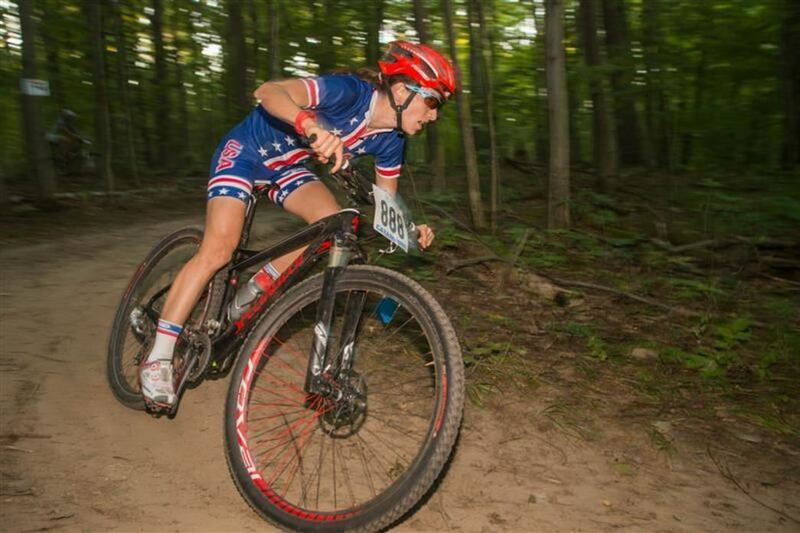 Another benefit of this center is that it offers a Wednesday Night Mountain Bike Series weekly during the summer. Utilizing three different courses they hold a 5-20 km race each week. Anyone can participate for $8 per race. 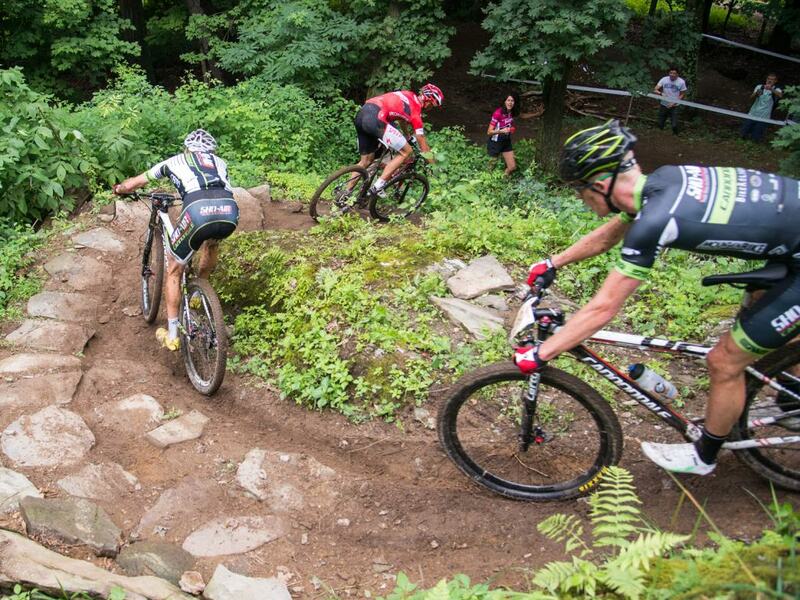 Catamount also hosts a variety of mountain biking events, including races, camps and clinics. 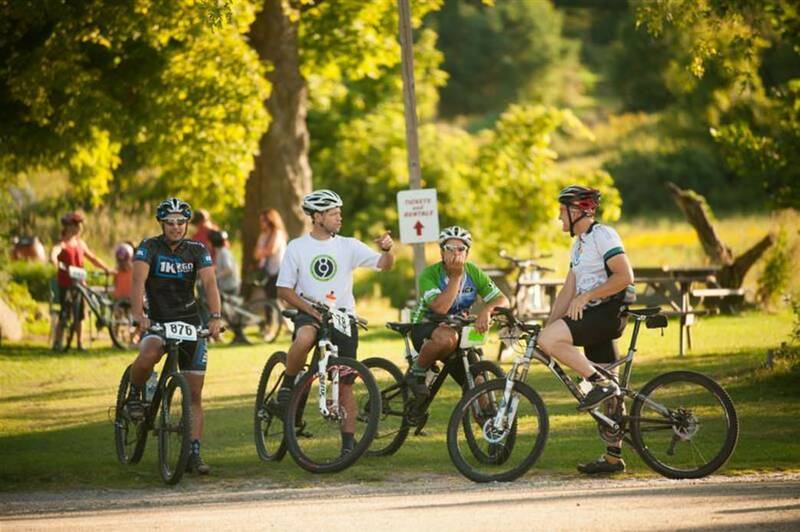 Riders of all ability levels looking for a spot that is close to Burlington and offers a variety of options, including everything from relatively flat trails with some rolling hills to very steep and more technical routes. Regardless of riding level, photo opportunities abound and it’s a great spot to catch views of the various peaks surrounding the area. There is a large parking lot on the premises where it is free to park. Catamount charges $8 for a day pass and offers season pass and punch card options as well. They are open for mountain biking seven days a week, but hours vary depending on the season so be sure to check them before you head over there. Also, be sure to call ahead during mud season in the spring as Catamount will close if trails are too muddy. Riders can rent bikes at the main desk. Download a map to check out the trails.